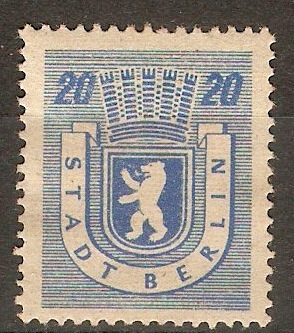 Home :: Germany :: Soviet Occupation :: Russian Zone 1945 20pf Blue. SGRA6. Russian Zone 1945 20pf Blue. SGRA6. Heavy mounted mint 1945 20pf Blue. SGRA6.